It's my BIRTHDAY and I'll give away stuff if I want to! Read more about that AFTER the recipe! I'd never heard of rye chops until I got an email from King Arthur Flour promoting them. So of course I asked for a sample. Essentially, rye chops are roughly cut rye berries. They're not a flour, and they're not rye flakes. They're chunky bits. Sort of like the steel cut oats of the rye world. It's embarrassing how many types of rye flour I usually have on hand. I love rye. But rye doughs aren't as easy to work with as all-white doughs. They tend to be sticky, which invites adding more flour. Then they become dense. They don't have as much gluten, so even when there's just a portion of rye in a dough you need to knead a lot longer to get decently stretchy dough. But in the end, it's worth it. And did I mention that rye is a whole-grain product (or at least it is most of the time)? So if you want more whole grains in your diet, you can turn to rye instead of always turning to whole wheat. As far as all-rye breads, nah, I don't do that very often. I like the structure that bread flour provides in a mixed dough. So that's what you're getting here. And it's pretty darned good. Whenever I'm working with a whole-grain or chunky grain product, I like to let that soak just a little bit, either just with water or along with the yeast. I think it helps soften the grain a bit. Combine the rye chops, water, yeast, and sugar in the bowl of your stand mixer. Stir to combine and set aside for 20 minutes. Add the bread flour and salt, and knead until the dough is elastic. Add the oil and continue kneading until it is completely incorporated. Form the dough into a ball, drizzle with olive oil, and return it to the bowl. Cover with plastic wrap, and set aside until doubled, about an hour. Flour your work surface and turn out the dough. Form it into your preferred shape - round or oval. Place it on the prepared baking sheet and cover it with plastic wrap. Set aside until it doubles in size, about 30 minutes. Slash the loaf as desired and bake at 350 degrees until nicely browned, about 45 minutes. Let cool on a rack before slicing. If you've spent any time reading this blog, you know I love bread, and maybe you know that I have a crush on King Arthur (flour) as well. You may also know that earlier this year, I went to an event called Blog and Bake, sponsored by King Arthur Flour. Well, no event is really complete until you take home the free gifts. One of the things we all received was a copy of the King Arthur Flour Baker's Companion cookbook. But I already have that book. They offered me a different book. But no, I've got all the King Arthur Flour cookbooks already. So I said, no problem, I'll give it away when the time is right. Well, it's by birthday, and I'm giving it away! It's got a couple little crumples in the cover from being shipped to me in a box full of flour and stuff, but otherwise it's a brand new book. My well-worn copy is on my bookshelf. Contest will be open from the time this posts on September 16 through midnight, mountain time, on September 23. US and Canadian residents only, please. It's a heavy book. 1) Leave a comment on this post. Whatever you want to say. 2) Tweet a link to this post mentioning the giveaway. Include @dbcurrie and/or @cookistry in the tweet so I see it. Then come back here and leave a comment that you've tweeted. There are several other contests running on Cookistry (and there will be more before this one runs out.) I will give you one extra entry in this giveaway for EACH TIME YOU TWEET A LINK TO ANY OF THE OTHER (currently active) CONTESTS - up to one tweet per day per contest. Come back here and tell me you've tweeted, and which contest you've tweeted. You get ONE entry in the other contest for tweeting a link there, and after that, you can get multiple entries here for tweeting the other contests. You comment here. One entry. You tweet this contest and leave a comment saying you tweeted. One entry. You tweet a links to the other three active contests and leave a comment for each tweet here. Three more entries. Note: If you want to ENTER the other contests, that's a separate tweet, commented on that contest. You don't have to enter those contests first, if you're not interested, though. You come back in a couple days, tweet links to the same contests again (as long as they're still active), and you tweet about any NEW contests I've started, and comment here for each tweet. Hoo boy! More entries! Good luck! Winner will be chosen randomly. Happy birthday, Donna. Great recipe & great giveaway! If I can ship to US or Canada, you're eligible! Happy birthday! A great giveaway - this cookbook looks like a real keeper! Oooo I'm going to have to try this one. Not a big rye fan myself but my father is. Thanks for the recipe and Happy Birthday! Happy Birthday! I love coobooks! Great giveaway! i love KA flour also. i have the whole grain cookbook but not this one so would love to win a copy. I have never heard of rye chops either, but love rye bread! I love cookbooks too! Thanks for the chance!! Hey, Craig the first entry in the contest is a comment here, so you've got one entry even without Twitter. And no, I'm not giving away my somewhat stained cookbook. It takes some work to get them properly scruffy looking. Your birthday was yesterday? Mine, too! Happy Birthday to US!!! I tweeted this "She's doing it again! Another giveaway.Rye chops, what are you? (and a giveaway! ): http://bit.ly/rqyHcf via @AddThis"
And please enter me in the contest! I love to bake, but don't have any of the King Arthur cookbooks. Donna, , one of my favorite cook books is the 1975 edition of JOC. Bought new that year, it hold nearly 40 years of notes and personal variations, a collection that I would never part with. Scruffy and stained is a good thing! Best wishes, -Craig (Cedarglen). P.S. As noted before, I sincerely enjoy the results of your little arrangement with Whole Foods. Despite the higher cost of ordinary goods, I find myself buying more and more from WF because I love the variety and because the 'quality slips' are rare. A bit spendy, but truly worth it. I hpe that the arrangement is working for you and for WF and that it continues. -C.
Happy (belated) birthday! 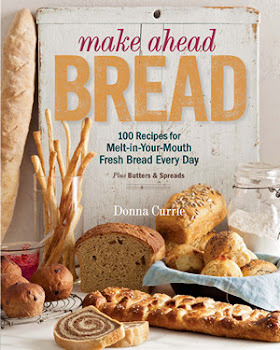 I've recently begun baking bread and love KAF so I would love to win this cookbook! Happy belated birthday - and great giveaway! I only recently started baking breads. always thought it was something only for the pro's, but I've had some good successes... along with some BAD failures. This book would be a great help in ensuring more successes! Happy Birthday! Happy Birthday! I want the Ratio book for Christmas....just go to remember to tell Santa! Love KA flour. I've only discovered it in the last year or so and it makes a huge difference in the results of my breadmaking. Guess my comment didn't take - a belated happy birthday to you and I'm in the running for the new King Arthur Flour cookbook - don't own any of them. Thanks for the giveaway! My MIL keeps bugging me to buy one of these--she swears by it! Contest is closed but comments are still open!